on to obtain a PG Diploma in Management of NGOs at Jamia Milia Islamia, New Delhi. 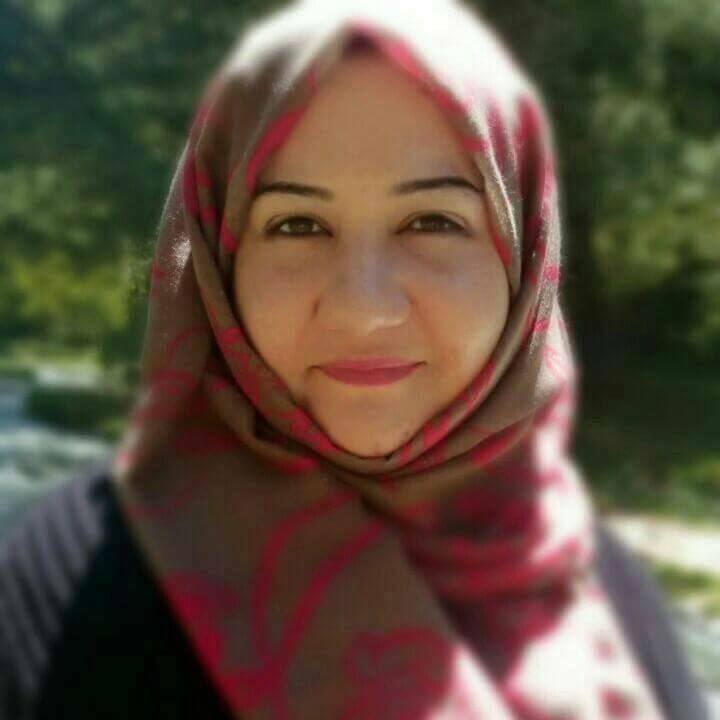 This rich educational background prepared her adequately for her engagement in the humanitarian sector, while her passion for studying languages and learning about other cultures has been an advantage in her chosen career in the social sector. The training to become a humanitarian worker is often demanding, challenging andcomplex, but the effort, hard work and the risk she took paid off. The exposure she got over the years has helped broaden her worldview and improved her expertise in this field. Currently working with the International Committee of the Red Cross (ICRC), an international humanitarian organisation based in New Delhi, Tahniyat’s work takes her to several parts of India. Her effort to keep her relationship with Kashmir alive and evolving is very simple. Anyone from Kashmir, who meets her outside the State of Jammu & Kashmir, would notice that she speaks to them in Kashmiri. The other linkages she has with the place of her birth include the cuisine and other delicacies synonymous with Kashmir. While language is the medium of conversation, cooking Kashmiri food is another big draw for her to stay connected with Kashmir. She has travelled extensively around India and abroad and loves to take photos. “Nothing opens the world to you like knowing a language. It helps you understand places and people at a much deeper level. It’s this love for learning about different cultures that inspires me to learn new languages,” she says. Currently she is pursuing language courses in Arabic and French. With over six years of consulting experience, she could not resist the entrepreneurship bug. More so, when it was an idea connected with food, mingled with innovation around it. She co-founded ‘Eatonomist’, a calorie counted gourmet meal outlet. Before setting up her new venture, she worked with multi-national consulting firms like KPMG, PwC Consulting and Ernst & Young. 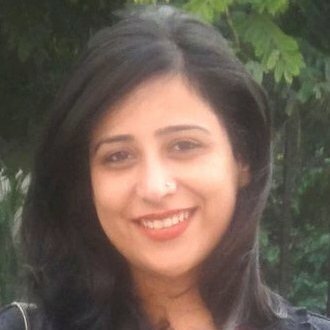 During her tenure with the consulting firms, she was associated with projects like ‘State Wide Area Networks (SWAN)’ for the Government of India, ‘MCA21’ – a flagship e-Governance Mission Mode project and was also part of the core team of the National Task Force for the Electronics manufacturing industry. However, the high point in her career was when she left her consulting job for her venture. “I am blessed to have a very supportive family who taught me to dream and do the impossible. Both, my sister and me, were taught to think like independent women from the word go by our father, who was a banker by profession. This has been our foundation,” says Anisha. She was four, when she had to leave her home. With very faint memories of that time, she is more aligned with the tales of harmony and brotherhood that her parents have shared with her. “I long to see the innocence of the people of Kashmir that my families has been talking about for eons,” she says. says Rabiya. But each time she got away with her wish, almost. From a family of poets and literatures, Rabiya has the traits of her grandfather ‘Mir Gulam Rasool Nazki’ and her father ‘Farooq Nazki’. Exposed to the literature, art and culture since her childhood, and the visit of famous Kashmiri and national poets and artists to her home in Srinagar have had a profound impact on her personality and on her approach towards life. Carefree, but conscious of her surrounding, she practices Kashmir in her day to day life by respecting people for what they are and by not judging them on religious grounds. Kashmir, she says is in all the good things one can do. Born in the Valley of Kashmir, Anuradha’s childhood was happy and simple and isolated from the rest of the country. Working parents with strong working ethics and a very distinctive thought process laid the foundation for her future career pursuits. The values were inculcated in her, have become her strength. 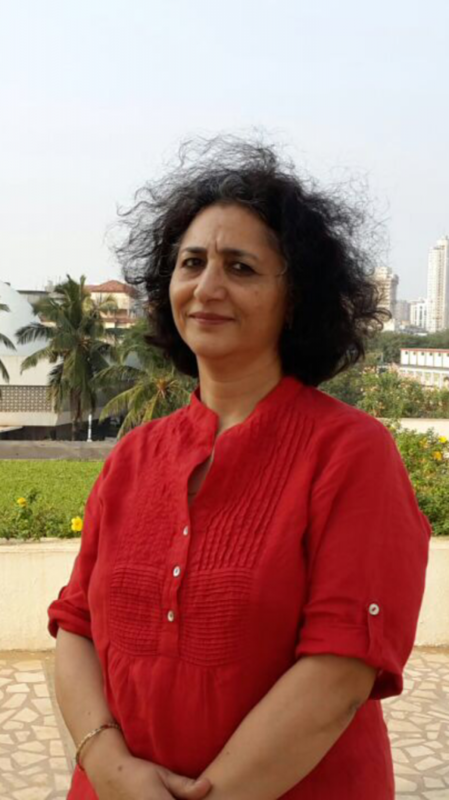 After finishing her MBA in 1993, she joined Tata Consultancy Services in Mumbai. Next few hops were PWC, National Dairy Development and Motorola before she joined PepsiCo. With over two decades of experience in Human Resources, Anuradha has been recognized for work in ECR Asia Pacific Conference for winning ‘People Award for HR Professional’. Besides the fact that she is married to a non-Kashmiri person, both her children speak fluent Kashmiri. She has ensured that they are aware of the history of the Valley. A visit to back-home in 2014, after a gap of twenty-five years, refreshed many pleasant memories and many old relationships. Her children experienced Kashmiriyat in the land of Sufies. “As I am fond of Kashmiri music, at one retail store in Srinagar I asked for habba Khatoon and found it. However, when I asked for Arnimal, the young storekeeper had to refer me to his father. Who knew what I was looking for but could not complete the sale as Arnimal is long lost,” says Anuradha. She feels that in the last three decades, Kashmir has become a one-dimensional culture. London-based Saba Mahjoor, who is a great-granddaughter of renowned Kashmiri poet ‘Mahjoor’, grew up loving books, literature and reading. Due to the literary influence of her great grandfather, Saba was always a child of literature, stories and happy & unhappy endings. But, her parents always wanted her to study medicine. She worked toward it and secured places at two prestigious medical schools in London i.e., King’s College and Queen Mary. She accepted the offer from King’s and went on to study Medicine and Philosophy at under-graduate level. Though the degree itself was enjoyable, but her heart was never in it. Soon, she realized that her calling is and has always been literature. “I made a decision of not pursuing Medicine any further and applied for a Masters in English and Creative Writing which is what I am currently doing. It takes a lot of courage to walk away from certainty and throw yourself into the pit of uncertainty, but I believe if it is for something that you love, something you are passionate about, the uncertainty and anguish that comes with it are all worth it. Though I have made most decisions for myself, the one person who was and is a driving force behind my love for Literature, well that would be my mother,” says Saba. “I am also trying to learn how to read and write Kashmiri so I can read my great grandfather’s poetry and create an oral collection which could be accessible to young people. 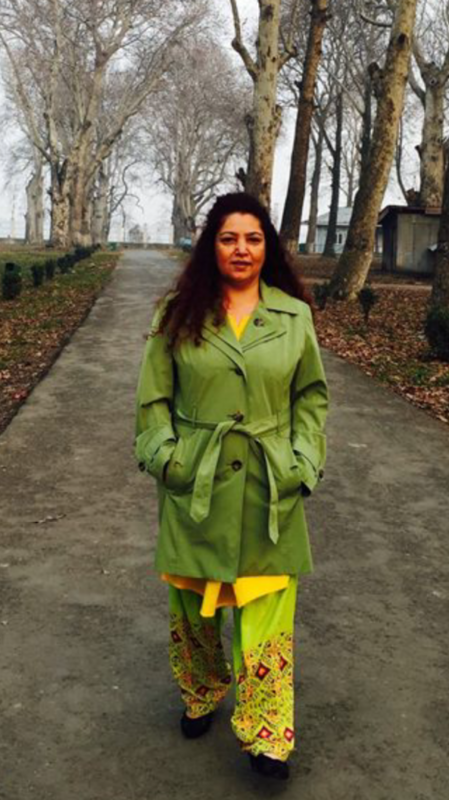 The younger generation needs to stay in touch with Kashmir’s past,” she adds. Mumbai-based Promila Kaul thinks herself lucky to have been born in an emancipated educated family in Kashmir. Her mother being an educationist always inspired her, which led her to take teaching as a profession. She was a successful Kendriya Vidyalaya language teacher for more than three decades. Her young students would love to learn the language through creative writings and draw images to explain self-made short stories. This way her dormant passion for painting was realized through these young kids. “My family have always encouraged and supported me to pursue my passion. No doubt there have been moments when I have to juggle with time to squeeze my domestic responsibilities and perform them to my satisfaction. I had to give up teaching profession due to my personal family circumstances. But, I am happy now as I have devoted my time to my second passion painting,” says Promila. Promilla believes that one should pursue their passion with firm determination and positive outlook, in spite of the obstacles that come in their way. To keep the Kashmiri culture alive, she celebrates Kashmiri festivals and socializes with Kashmiri people and friends whenever there is an opportunity to meet. “I believe in harmonious relationships with other communities which existed before 90s. My relationship with other communities is still cordial in spite of the political upheaval. I still cherish those old values and try to nourish them,” adds Promila. Hailing from the Tral village in district Pulwama. Hameedah has been one who always was against the concept of early marriage as she is of the belief that education is the most important part of one’s development. “As a child I gre w up in fear and anxiety, I was deeply disturbed by the plight of women by their in-laws that developed aversion towards marriage as I saw it was a subjugation and surrender of self ” she says. 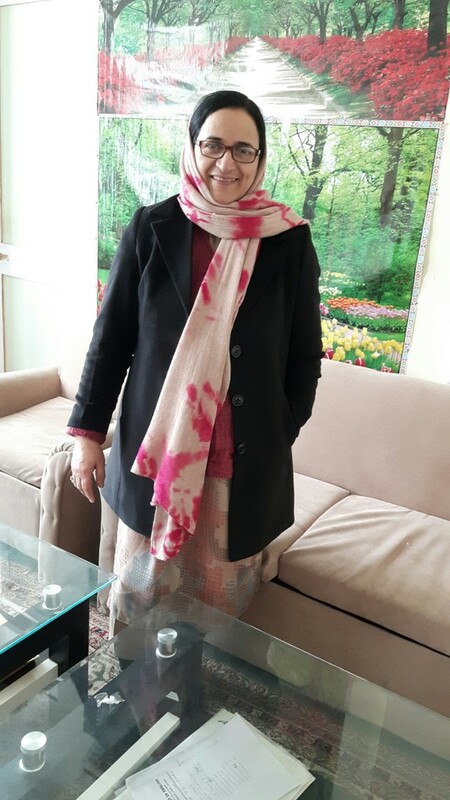 Nayeema has been the strong supporter of right to choice and a change maker in the society, heading the largest civil society group in the valley – Kashmir Centre for Social and Development Studies (KCSDS), she stresses upon social issues prevailing in the society like domestic violence and dowry. “I am more interested in social issues and human rights advocacy to fight for any intolerance against women,” She added. Close to the grass-root, she understands what Kashmiri is and does her bit in not just preserving it, but also tries to propagate the values ingrained in it. She tries to preserve and nourish rich Kashmiri culture of compassion, mutual respect, acceptance and freedom of religion. “What happened in early 1990’s was an aberration and result of multiple factors. We used to live peacefully with other communities and even today as we did in the past,” says Hameeda. Ahaa! Our bookworm ???? 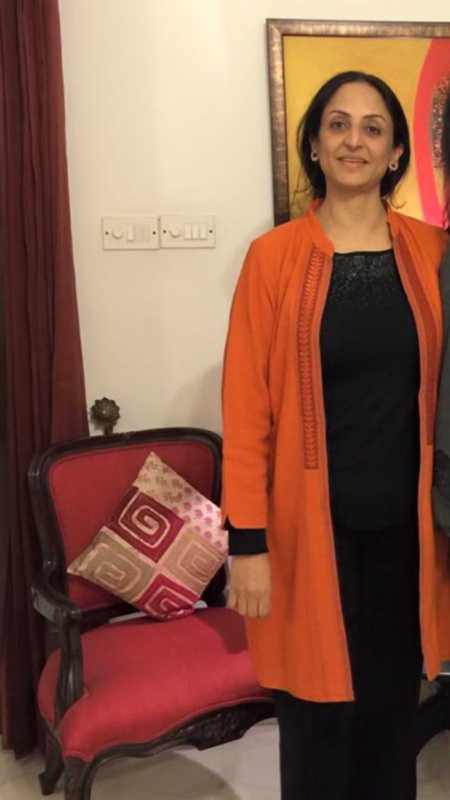 Saba Mahjoor. All the best. Wish you all great success. Wonderful article, very inspiring to see so many of my Kashmiri sisters right up there! Promila is a good friend and a budding artist. Most of her paintings bring back fond memories of Kashmir. All the best to all the women! Promilla good work nice to see u on the cherry tree.in. It was wonderful to see Anuradha’s name here.So proud that she has achieved so much….warm regards to her. Salute to all the bold, brave and beautiful Kashmiri ladies on their feats in life!! I had a privilege to know one of them personally — Tahniyat Sidiqi — you have come such a long way with your sheer grit, perseverance, hard work and intelligence and I know u will go a long way Jigar!!! Inshallah!!! Great work being undertaken by you. Wishing women of Kashmir all the very best in all their endeavours! Great achievements, proud of them. Kashmiri women are foundation of a great culture which had abundance of spirituality love and compassion. Today the world needs direction and thought to live in peace and tranquillity. I do hope many Kashmiri women will take the lead… I dedicate this thought to my mother Matkuji ( Prabha wati). I am positive to a beginning like this that tries to bring people together across a seeming divide. Numerically and politically unequal these young women achievers who belong to Kashir they represent an equal half of a wholesome emotion that is Kashir. May Kashir live through them and through who follow them. Totally with you . But don’t you think there are too many. God bless you always…Thumbs up! Good post and straight to the point.